Adventures in Guided Journaling: On my desk . . .
On my desk . 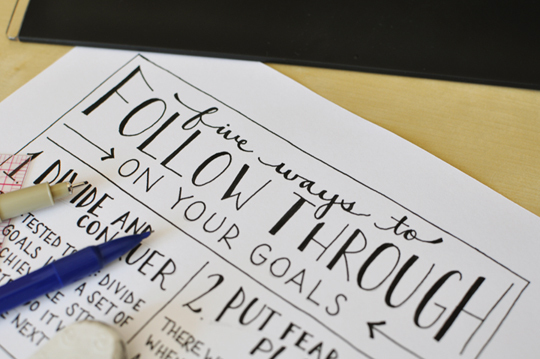 . .
On my desk today: hand lettering a few thoughts about following through on goals. Almost done!